Have you ever been in a relationship with someone who always forces you to do something you don't like? And, for the sake of love, you just do it? It gets too much sometimes, doesn't it? Take this dude who was seemingly forced by his girlfriend to ride a roller coaster, as documented on video which was then uploaded on YouTube last February. 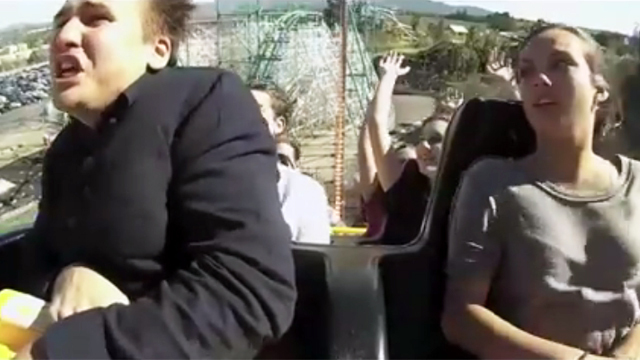 He was so terrified that he actually broke up with her in the middle of the ride.